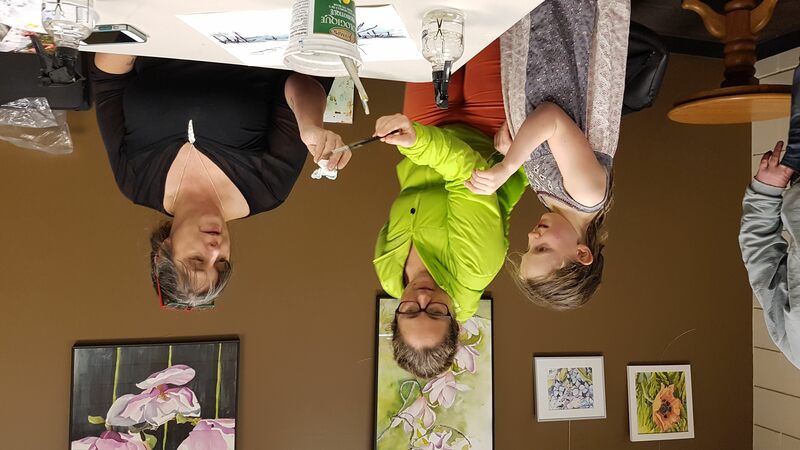 Over the past 5 years, the Revelstoke Library has been developing an exhibition program that is designed to give artists an opportunity to exhibit work, showcase their skills through demonstrations, and connect with people who are interested in their work. 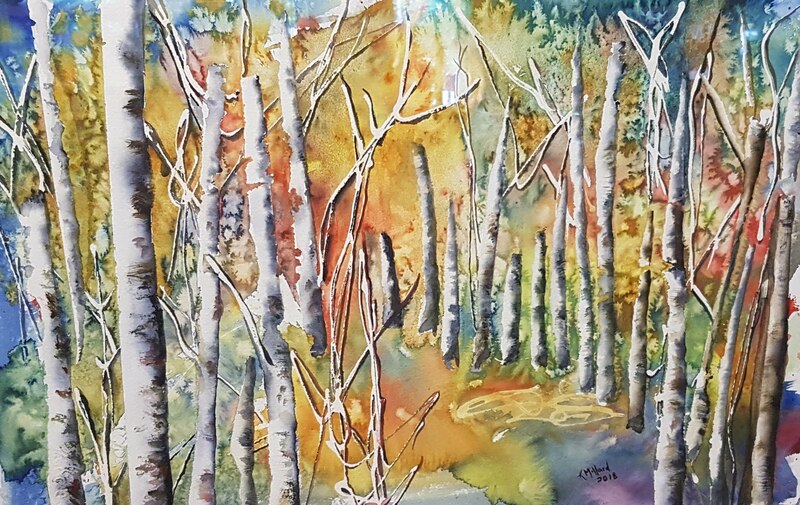 Our most recent exhibit features the work of watercolour virtuoso Karen Millard. She delighted a large audience with a demonstration that lasted nearly two hours. Gales of laughter could be heard coming from the library meeting room where she was demonstrating various watercolour techniques. Karen’s work will be in the library until Saturday, December 8th. The library is very proud to be hosting an exhibit of work by Students in Grade 10 and 11 from Revelstoke Secondary School. Featuring work in many different media, this exhibit will open with a reception on Tuesday, December 11th, From 6 to 8 pm. 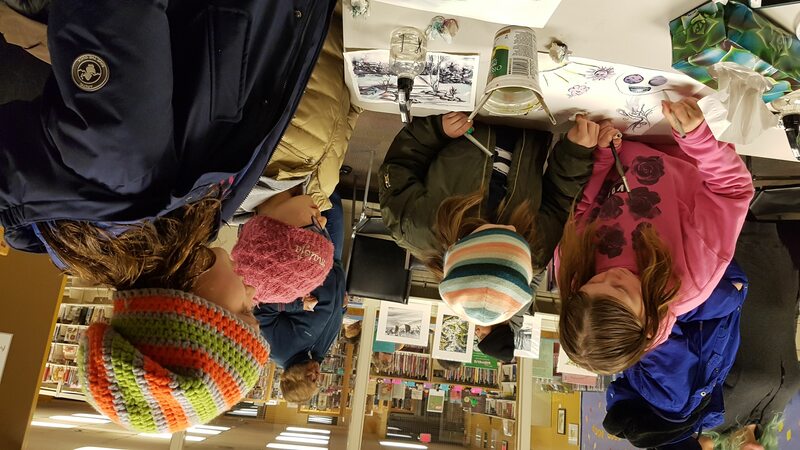 please join the library in celebrating the amazing talent of these young artists. Refreshments will be served.